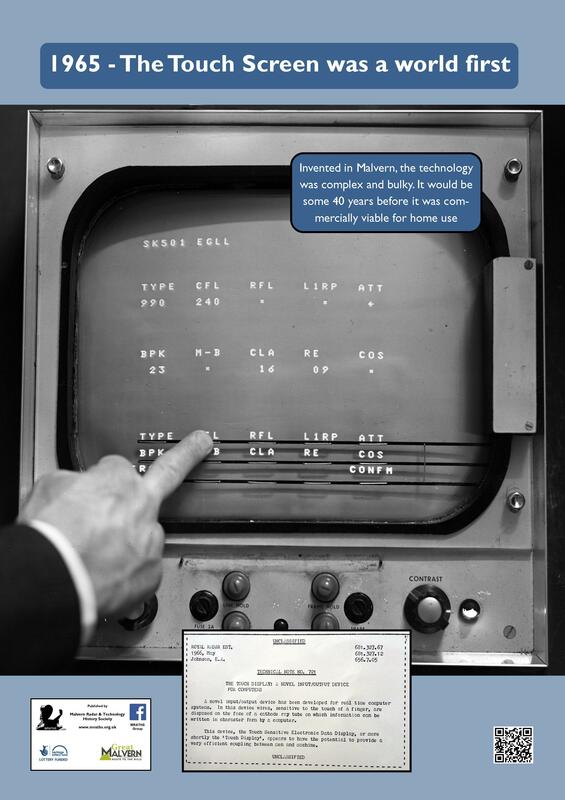 The idea of a touch interface to a computer arose because in Air Traffic Control duties quick and accurate decisions and consequent communications are needed. This was increasingly necessary to control our UK national Air Defence force when reacting fast jet aircraft threats. Working at RRE Malvern, Eric Johnson realised that a touch interface to a computer screen offering choices to the operator had significant potential to improve the ATC operators workload and responsiveness. 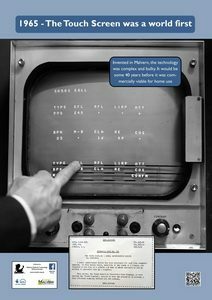 He used thin copper wires across a computer crt and developed the circuits to reliably sense when these were touched. 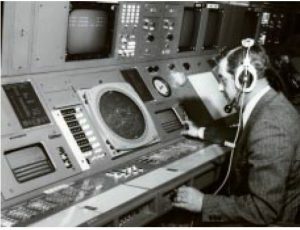 His concept was based on the elegant premise that most interactions with an ATC computer are about making choices. He also foresaw that the design could work as a keyboard for entering characters. 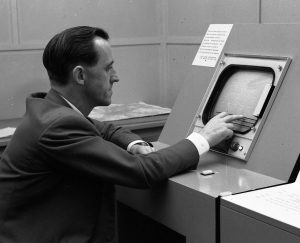 Once the idea was published a variety of other techniques were developed by other scientists and engineers but touch screens did not become an everyday reality until the 1990s.